Having a CDN for my site has done wonders for my load speed and rankings on Google. 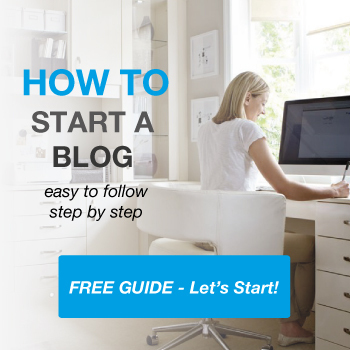 The same can work for your website or blog. There are millions of websites online today. The competition is fierce. Websites with the top content and fastest delivery get the most traffic. FACT! So how can your WordPress website compete? You need the best content delivery network or CDN available. Why Get a CDN for Your Site? If you want to optimize and deliver content fast, then a CDN is the way to go. With a WordPress CDN, you can speed up your website by serving up content that is cached on servers near your user’s location. This means that if a user is located in Tulsa, Oklahoma or Tokyo, Japan, your visitors connect quickly and get their content fast. While you may think that a CDN is a hosting service or some type of server, it actually uses the cloud to store content and deliver it to visitors from a server that is closest to where they live. This guarantees that your visitors see content within seconds of loading your WordPress site. Since you started with WordPress, you are probably thinking that you never needed a CDN before. However, users want content within 3 seconds or less. The average attention span is 2 seconds for most mobile users in the world. With a typical WordPress site, you use a single location server to host all of your content including images, web pages, blogs, articles, links, infographics, and products. All of your visitors go to your website through this single server. This reduces the entire load on your original WordPress site’s server and makes it faster for users to connect around the world. The reason it’s called a CDN is because of the network of servers that store your website. Each user gets their special connection, reducing page load speed. Websites with CDNs typically load instantly. However, this depends on what CDN service you use. If you want a high-quality WordPress site, then it’s time to upgrade with a CDN. What Makes a Good CDN? When looking at CDN services, you may notice some similarities. Most of these services provide SSDs and lots of RAM, but it may be difficult to tell the value in each server that comes with your specific package. Most CDNs will supply you with a certain about of bandwidth per month that you can use without being penalized. At the lowest, you may get 200 GB. However, if you want a powerful site that services a lot of traffic, you may need over 2500 GB in bandwidth. Additional bandwidth for when you go over may cost around $0.06, but this number may decrease with higher-priced monthly plans. If you own a website today, then you need strong security, especially if running a business online that stores information. Most CDN services have DDoS mitigation or some form of DDoS protection. If not, then look elsewhere. This is the best way to protect yourself from malicious viruses installed by hackers to deteriorate and abuse your site’s database. SSL adds an extra layer of security for you and your visitors. If you plan to open an online shop, it is essential that you have an SSL certificate. One of the reasons that websites lose speed is because of large, high-resolution images. It’s not your fault you want your site to look the best and feature amazing photos, but it slows down everything for your visitors and makes it difficult to load on mobile. A CDN should offer image optimization that lets your images and websites load in a flash. You may not need managed support or an engineer on standby, but 24-hour round-the-clock tech support is essential when you are purchasing any kind of CDN. You want to be able to ask questions through live chat or phone as soon as your site experiences an issue. Otherwise, you may get stuck with a dead site for days at a time. If you have found a good CDN already, compare to this list below of the top reviewed CDNs for WordPress. These services provide the best prices, options, and security on the market. When it comes to CDNs, Sucuri has been one of the most popular services in recent years. Their CDN package includes a WordPress firewall as well as DDoS protection. Sucuri even claims to have the most secure networks to protect against malware, attacks, and known WordPress security threats. This CDN is built to handle any WordPress website. Their firewall hands all of your visitor requests before ever going to the original hosting server. This is necessary to prevent attacks from hackers, such as DDoS. Sucuri has servers in almost every country, so your website speeds are insanely fast for all users. Most websites purchase Sucuri in addition to another CDN service in order to have the fastest website available with more servers to handle loads from every corner of the earth. Pricing starts at $9.99 per month for one website. 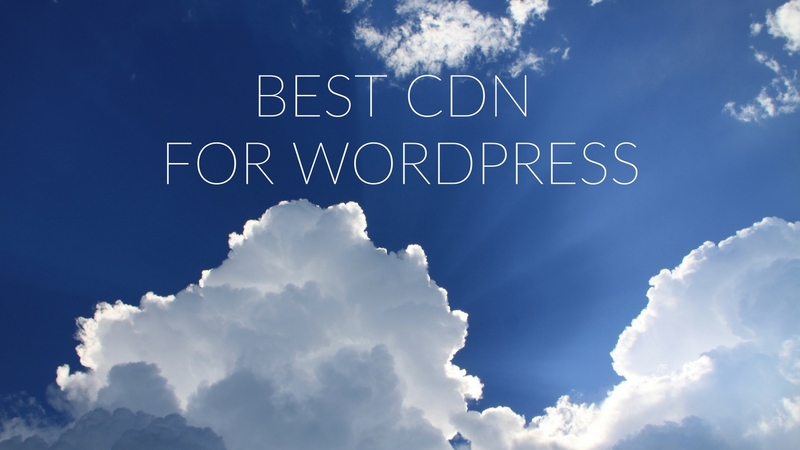 This is our top pick for a WordPress CDN. With their packages, you can scale up the bandwidth that you need starting from a pretty low rate. Their CDN servers start with 200 GB and go over 2500 GB per month. This is handy if you have an incredible amount of global traffic. Some CDN services require a lot of manual hands-on installations, but it’s really quick to install MaxCDN. All you have to do is have a cache plugin like WP Super Cache or WS Total Cache installed to help reduce load times. These plugins are free to install and activate. If you want to manage your Max CDN service, you can do so through the control panel. This allows to purge cache, setup locations, view reports, and more. Max CDN also provides you with a shared SSL certificate or private SSL security that makes sure your cached content can be delivered when users connect through HTTPS or SSL. In terms of reliability, you cannot go wrong with MaxCDN. They have 24/7 support and even on-call engineers assigned to your site to make sure that it continues to run properly no matter what is going on in the world. You can pick up Max CDN starting from $9 per month. If you want DDoS protection and all of the other features, then CloudFlare has some great plans. CloudFlare is also set up to work with WordPress. You can use the large global servers to automatically cache static content across the web for your visitors. You can control CloudFlare from an easy-to-use control panel, which cleans up cache files instantly and monitors performance 24 hours a day. If you want to protect yourself further, the paid plans come with a safety mode called “I am Under Attack.” This allows the site to put a security page for a few seconds while your CDN analyzes traffic and sends them to the website so that it is safe. You can start with a paid plan for as little as $20 per month. CDN77 is a UK based content delivery network with HTTP/2 and free SSL which meets all the needs of features, price, content delivery speed etc. CDN77 offers a variety of flexible plans, storage space, pricing and features according to your needs. CDN77 is a low-cost, no commitments, setup fees or request payments CDN provider with more than 32 datacenters around the world, which means no matter where your customers are accessing your site they’ll benefit from a fast nearby point of presence. There are specific instructions for popular hosting providers, including HostGator and Bluehost as well as for popular CMS such as WordPress and Joomla. It’s much more straightforward than most other CDN companies, who usually leave you to find the relevant settings and support documents yourself. CDN77’s cheapest pay as you go plan is $0.049 per GB for US and Europe. CDN77 offers a 14-day free trial. You can check it out below. If you know that your visitors are from North America, Asia, and Europe, then you may want to use KeyCDN, which is a lighter CDN service that offers less pricey plans. However, you may not have the fastest website in some parts of the world such as Australia or Japan. KeyCDN makes it incredibly easy to set up the CDN through WordPress. Plans include free and custom SSL certificates, HTTP/2 support, DDoS mitigation, SSD servers, restful API, 24/7 support, and a powerful control panel for monitoring and tracking your website’s traffic. One of the great things about this CDN is the pay-as-you-go options, which can save you money if you are looking to scale up. You only pay for what you use. If you have unexpected growth, this may not work, but for small business websites just getting started, you can drive down the cost of your CDN through a service like this one. You can start for as low as $0.04 per GB or a minimum of $40 per year. StackPath has been growing its CDN services for the past year, and they have developed new servers across the globe. With a larger network, they are able to now serve areas across every country. The CDN secures your website from DDoS attacks with a load balancing and blocking option. All plans also include a firewall that reduces the amount of time your website takes to load. It is easy to set up for website owners and IT personnel as it comes with a developer-friendly API and building tools. For websites with multiple apps or partner websites, you can instantly tie these together through the same CDN to optimize deliver. Plans start from $20 per month. Rackspace has always been a major player in largescale hosting and CDN services. If you want cloud computing at the enterprise level, then Rackspace may be the best option. To get the CDN, you will have to use their cloud-based infrastructure. This is good for larger websites as it is one of the strongest networks in the world. However, setting up your CDN is a little bit more complicated and not for someone who does not have experience as a developer. There are a few other cloud computing options that use the same language as CDN, which also makes it difficult to know which package to purchase. However, their CDN works well with WordPress and can be used with different WordPress plugins like Super Cache. However, there is no protection against DDoS. You will need to add on a service from Cloudflare, which makes Rackspace a little less appealing for this service. For larger websites, Rackspace may be the all-in-one hosting and CDN provider to build your website with. You can start with pay-as-you-go plans for as little as $0.16 per month. Made for WordPress, Incapsula is another CDN service that you may have come across while browsing for the right company. They have located servers around the globe in strategic areas, which even includes data centers in areas of South America and Africa. The CDN is not difficult to set up. You can typically get started in less than a minute, and it works with other WordPress caching plugins. So what makes Incapsula any better than other CDNs? Their support, free SSL, firewall, and DDoS protection make them a better choice than some of the other CDNs on this list. However, to get this kind of support and multiple features, you will have to sign up for a paid plan. You can start using a free CDN plan, but it does not feature any security or high bandwidth options. Paid plans start from $59 per month. AWS or Amazon Web Services powers many of the websites online today. Their servers are fast, global, and rapidly growing. Amazon CloudFront is their CDN that securely hosts applications, APIs, videos, and data. CloudFront is integrated with AWS so that you are directly connected to Amazon’s incredible server infrastructure. In this way, you get to take advantage of AWS and use some of their amazing features like elastic load balancing, AWS Shield, and Amazon S3 servers. However, CloudFront is also not for the beginner user. While it works with WordPress, there are a variety of features and tools that you will need to learn to make your website stronger. For example, if not a developer, you would need to look at documentation for APIs, AWS Management Console, AWS CloudFormation, CLIs, and SDKs. Some of the features for this CDN are incredible including static asset caching, which speeds up your delivery through a multi-tier system that uses regional edge caches. You can also build live and real-time video streaming websites and applications. However, the pricing model is pay-as-you-go allowing you to scale up with no upfront fees or contracts. This CDN is a great option if you have a lot of video content and want to make sure that your products are seen globally. Services that use CloudFront include Hulu, Canon, Musical.ly, PBS, and Rovio. You can scale up as fast or as slow as you like with their free to start program. Amazon is currently offering a free hands-on experience with AWS for one year. While most CDNs on this list offer most of the features that we listed in the beginning of the article, there are a few who stand out due to their customer service, package pricing, and trial offers. CloudFlare is simply one of the best tools for any website. You can try it out for free, and it’s well-documented with plenty of help articles online through their forum and GitHub. However, MaxCDN has the best all-in-one package for CDNs that will allow you to get your website up and running fast. Their network is also one of the largest and connects your visitors in almost every part of the world. You can find instructions for setting up MaxCDN with the W3 Total Cache plugin. Unless you have a large website with tons of traffic, website owners should look elsewhere from Rackspace. You pay a lot more and do not get the same security as other CDNs on this list provide. If you know that you can handle Amazon pricing and want to go through tutorials, then this is the best option for scale and strength. Amazon servers rarely fail, and customer service provides 24/7 live chat and phone support.